While this setting (Chicago, 1958) and her gorgeous (handmade!) ensemble suggest "to the manor born," my mom was "to the tennis court born." It was her graceful athleticism that gave her the confidence to move through a variety of worlds with style and a smile. 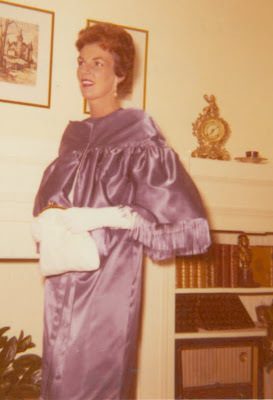 Whether she was in tennis whites, her camel-hair coat, or evening clothes, Mom was always comfortable in her own skin. 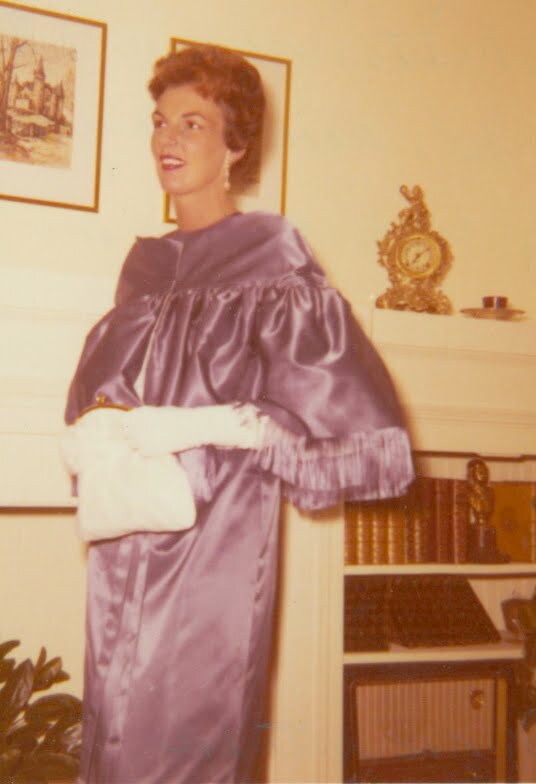 If only she were still here to see this, she'd have laughed and brought forth another photo of herself, looking less than her best, to prove that she wasn't "fancy-schmancy." With love, forever! Love it, Beth! 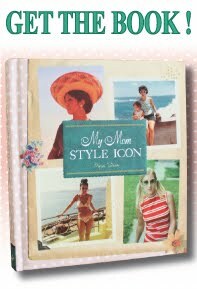 I'm gonna dig up a photo of my mom as soon as I get home. So glad you shared this here.